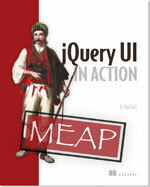 The eighth milestone release for jQuery UI 1.9 is out. There are quite a few improvements and changes since the last milestone release. Most notably, the Position utility redesign is done. A milestone release makes it easier to try out the latest development code of jQuery UI without necessarily having to check out code from GitHub. With a milestone release you can try out new widgets that are pretty far along (though not yet final) and provide feedback based on released code with a specific version number. The Position redesign is now fully implemented. The using option now provides information about where the element is relative to the target. This information is useful for a variety of reasons, such as knowing where to render an arrow if you want the element to point to the target (think of tooltip with callouts). 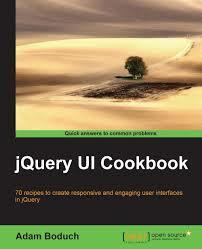 This information is passed in a second parameter to the using callback. The Tooltip and Autocomplete widgets have been updated for full ARIA support. Getting these widgets to be fully accessible with various browsers and assistive technology was quite difficult. A huge thanks goes out to Hans Hillen and Everett Zufelt for their help with testing and implementation. A lot of components have seen a lot of bug fixes. While we continue to maintain the 1.8 branch, a lot of bugs get only fixed in master. Here are all tickets fixed in 1.9, by component. To help with the testing of the Position utility, visit the Position page on our Development & Planning wiki. If you have code changes for the Position utility, fork jQuery UI on GitHub and submit a pull request. If you’re new to git or GitHub, see our guide: How to submit a fix to jQuery UI – The Easy Way. Note: please do NOT use the comments section of this blog post for feedback on the Position utility. This discussion should occur on the wiki page and the forum (see How to Provide Feedback, above). If you have feedback on us doing our eighth milestone release, feel free to leave a comment below. Thank you.